Today I will be brief. This is just a picture I took at the end of one of the piers in Bogatell Beach. I arrived and fortunately there was just one fisherman with baggy trousers, suspenders and a hat (that's is not common here). On the other corner there was a young couple. Previously I went past a model having a pro photo session and changing her dress up behind an improvised curtain but I settled for my perfect match of the day at the far end of the wharf. 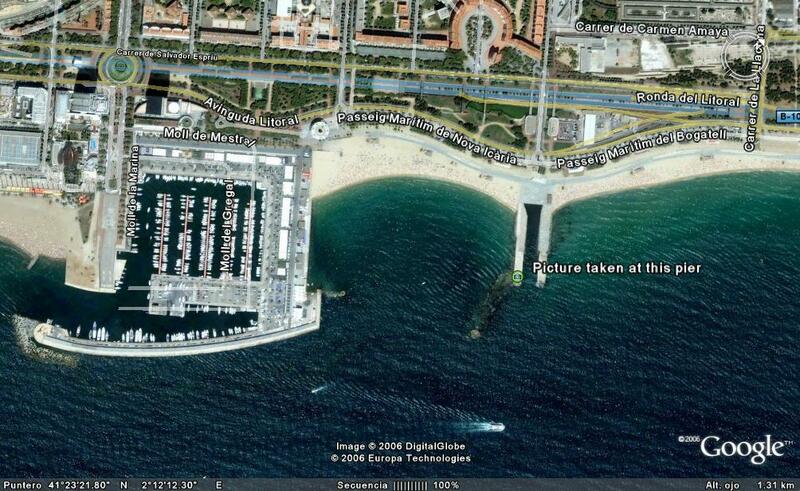 Check an Aerial View of this Pier at Bogatell Beach in Barcelona. Great photo! 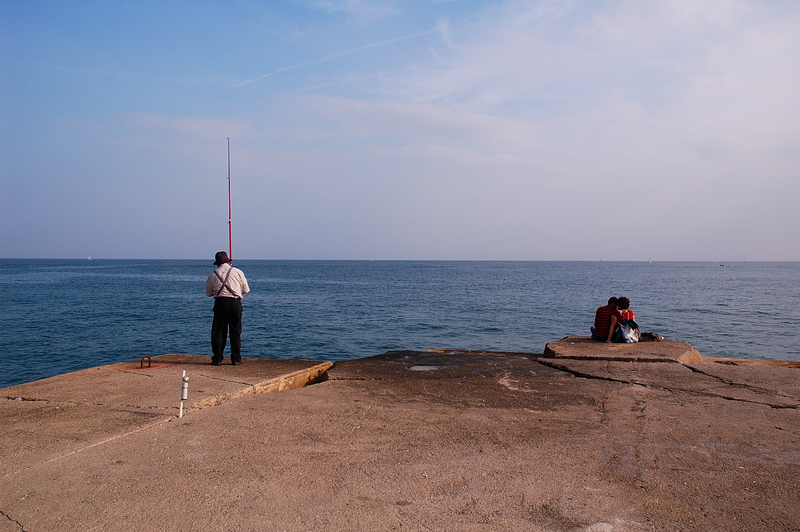 Clear sky, clear sea, clear wharf...backdrop for the couple and the fisherman, all contemplating of the moment. Very nice. Btw, the link to TFTTF is great and I just printed out "A 101 Ways..." to read today. Have a good weekend. You have captured an interesting and serene scene. One thing that struck me was that the pier has no guard rails or anything to keep people from falling off/jumping in! Is that common?